This is New Zealand’s premium buggy experience utilising the best machines, guides and terrain. Nowhere in the world could a landscape be more suited to exploiting these off road buggies amazing capabilities. Experience the thrill with self-drive and guided tours available to conquer exhilarating terrain including steep mountain climbs, creek crossings and beautiful forest tracks and trail leading to stunning viewpoints over Queenstown. Just 5 minutes from Queenstown our exclusive adventure park is your perfect private playground. You will be rewarded with endless fun, excitement and off road adrenalin rushes and some of the most spectacular and breath-taking views you could imagine. From a one hour guided tour overlooking beautiful Queenstown to an epic seven day coast to coast self-drive guided buggy expedition, we have the perfect tour for you. With over 28 years off road guiding experience and top of the range off road buggies you could not be in better hands. Having acquired the necessary skills in our training area your guide will lead you on adrenalin packed, off road tracks and trails to stunning view points over Queenstown. You will get to test the full capabilities of this machine in action and will be rewarded with endless fun, excitement and off road adrenalin rushes with some of the most spectacular views you could imagine. With over 28 years off road guiding experience and top of the range off road buggies you could not be in better hands. The only issue will be how to wipe the smile off your face at the end. 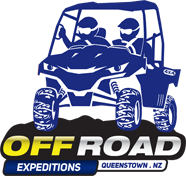 Transport to and from our shop in central Queenstown, late model 4x4 machines, helmets, eye protection. Wet weather jacket/pants/footwear available if required. Wearing sensible clothing that you will be comfortable in & don't mind getting dusty. Bring water, snacks and sunglasses with you and Go-Pro. Suitability/minimum age: Each driver must be 18 years of age or older with a full driving licence. Previous off-road driving experience is beneficial however, it is not required to take part. Minimum passenger age is 4 years old. Your driving licence MUST be produced at time of check-in. A good understanding of the English language is a must for this tour so your guide can convey the necessary instructions. Insurance excess bond required: Each driver will be required to sign a $3000 insurance excess agreement for the vehicle (against a credit card - Visa/Mastercard) at time of check-in, in case of damage. -	Price: $348, price listed is per vehicle (2 customers). -	Family Special: Families can exclusively avail of our self-drive four-seater Yamaha Wolverine X4 buggy for a great rate of $398 for the vehicle. Restrictions: only ONE adult will be trained and authorised to drive this buggy. Strictly no sharing of driving between parents. This buggy is only available and suitable for families (parent/s and kids between 4 and 16 years old). 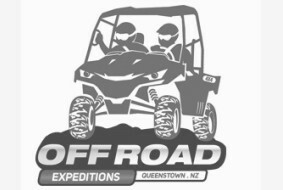 This adventure uses our exclusive access to fun filled tracks & trails with stunning views overlooking Queenstown. The latest model 6 seater buggy you will travel in can conquer almost any terrain. It is the perfect vehicle to explore a range of exhilarating terrain including steep mountain climbs, creek crossings and beautiful forest tracks and trails. Your expert local guide drives you up thrilling trails and entertains you with their extensive local area knowledge. You get spectacular photo opportunities with exclusive vantage points over looking Queenstown and the Wakatipu Valley. *No self-drive option on the 6-seater buggy tour. We recommend wearing sensible clothing that you will be comfortable in & don't mind getting dusty. Bring water, snacks and sunglasses with you and Go-Pro. Min passenger age is 4 yrs old. Allow 1.5 to 2 hours total duration with up to one hours drive time.